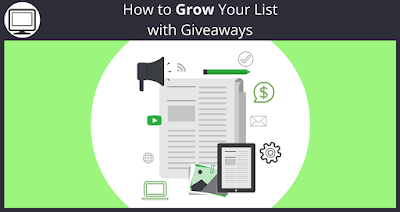 5 Ways to Grow Your List with Giveaways. List building can be slow work. I’ve seen more than a few aspiring email marketers get burned out from it. But you don’t have to suffer with slow list building tactics forever. Even if you’re offering free stuff in return, a big part of your audience might need outside encouragement to offer up their email address. Research by Nielsen found that 92% of people trust recommendations from individuals, even ones they don’t know, over brands. Brian Harris of Video Fruit used this method to promote his giveaway: a 10-year subscription to LeadPages. He called in favors with friends and colleagues and reached out to people whose audiences would be interested, asking them to share. The campaign overall got him 2,239 new email subscribers in 10 days. Asking influencers to share your giveaway on social media or mention it on their blog will help you reach a larger audience, and give you that third party endorsement you need. Partnering with other brands that complement yours can add some extra value to your giveaway. You’ll get exposure to their audience, and benefit from double the promotion efforts. Bundling their products together allowed both brands to create a unique giveaway that they couldn’t have made on their own. In order to get the most out of the partnership, try to find a business with a bigger audience, more authority, and wider reach than yours. I’ve seen too many giveaways wasted on just a few social shares for promotion. If you want the investment you’re making to be worthwhile, you need to get more reach by spurring the competition. Entrants want to win, and are willing to take extra steps to up their chances, like sharing the giveaway with others. 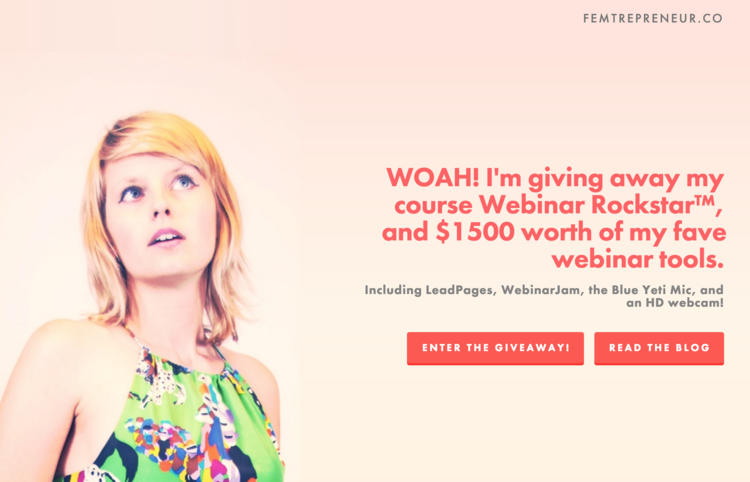 Femtrepreneur used this method to create interest in her webinar giveaway. Everyone had one entry into the giveaway, but if they referred a friend, they got 3 more entries. About 1500 new subscribers and $5,000 in revenue from post-giveaway interest. This strategy creates a viral effect, essentially turning all your entrants into influencers themselves. 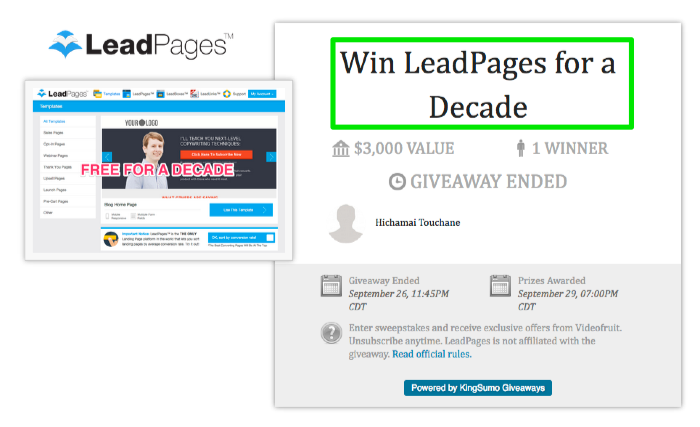 Make your giveaway correspond to key holidays and events, and you could end up driving more than just email signups. JewelScent is a candle, hand wash and aromatherapy company. Their products include a hidden jewel inside, valued between $10 to $7,500. They hosted a giveaway the week before Valentine’s Day. The campaign’s timeliness paid off, leading to 3,431 new subscribers and $18,776.49 in revenue in 8 days. For the people who didn’t win the giveaway, the JewelScent products were still a timely suggestion for Valentine’s Day. One thing I’ve noticed with a lot of giveaway campaigns is that they’re focused too heavily on just getting the email signup. When you’re giving away something for free, there’s actually a lot more you can get out of your audience, such as spreading brand awareness. In addition to getting 2000 entries to the giveaway, Moosejaw also got 45% more Twitter followers and 31% more Facebook fans while they were at it. You can sign up for a free trial of Sendlane™ to start growing your mailing list with giveaways. And when you do, I suggest incorporating some social sharing elements to get more reach. 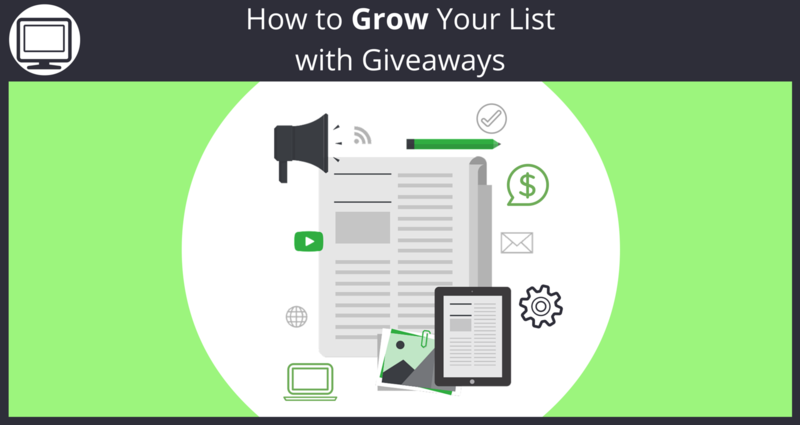 Know any other great ways to grow lists with giveaways? Tell me in the comments! Just like we teach in this blog post, please like and share this post on Facebook and your other social networks! If you found this interesting and helpful, chances are your friends will too!